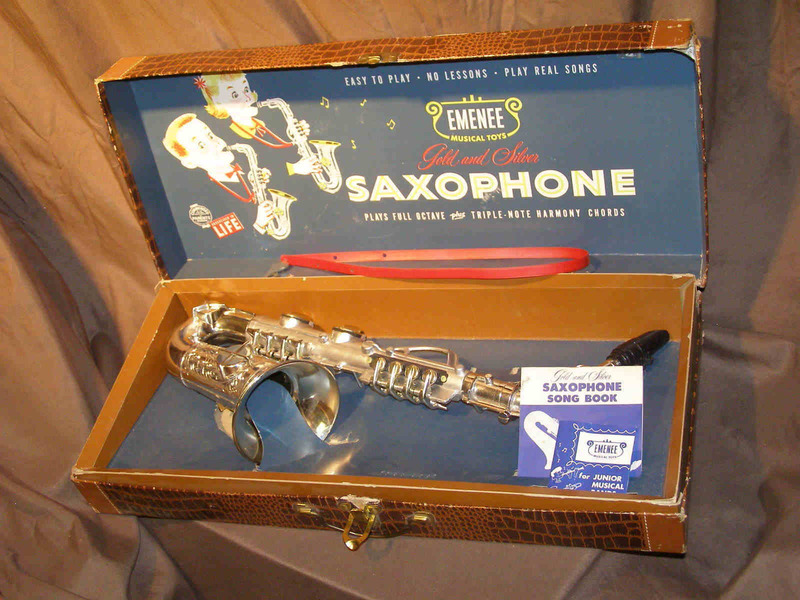 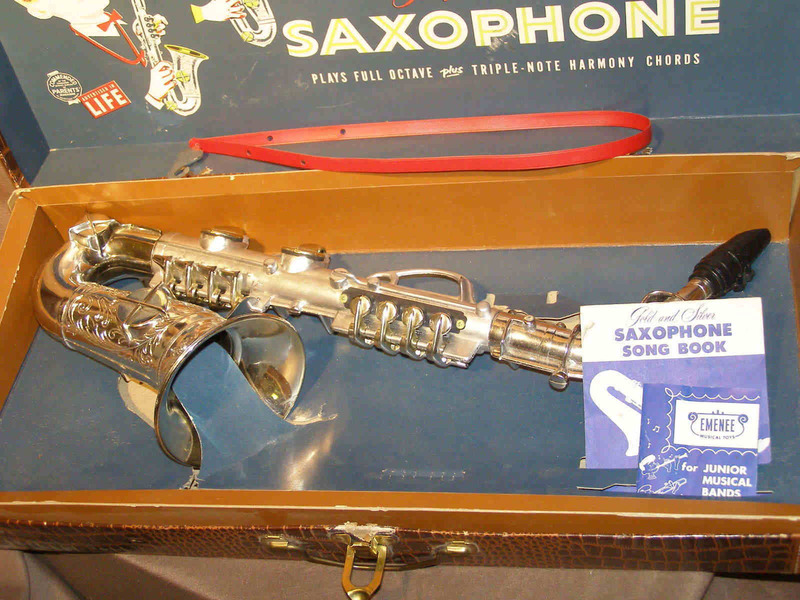 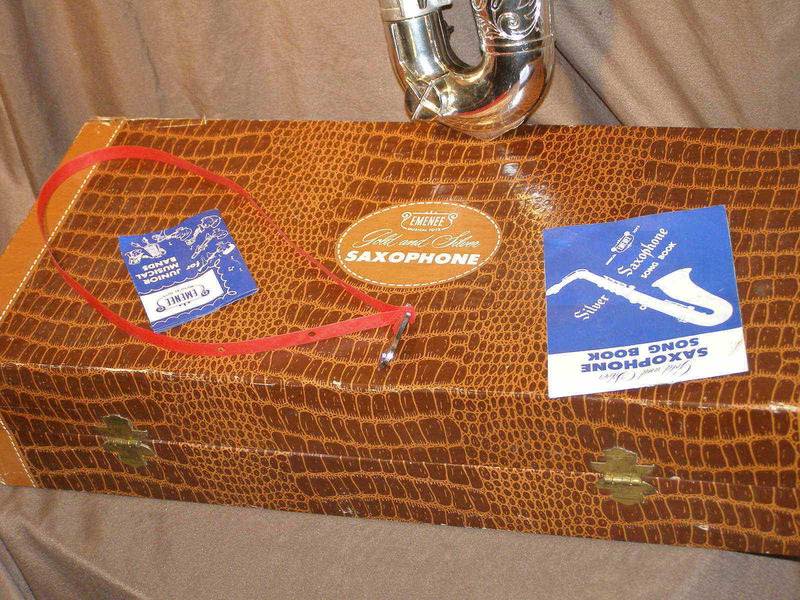 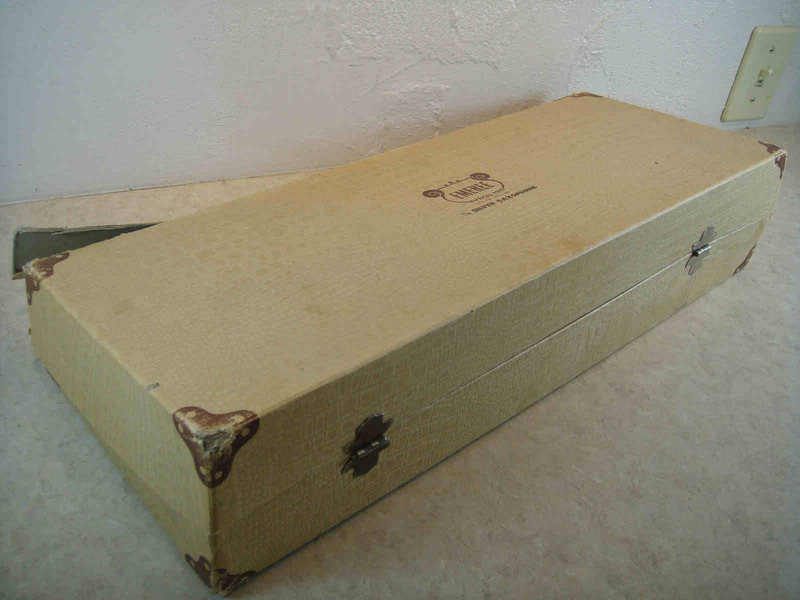 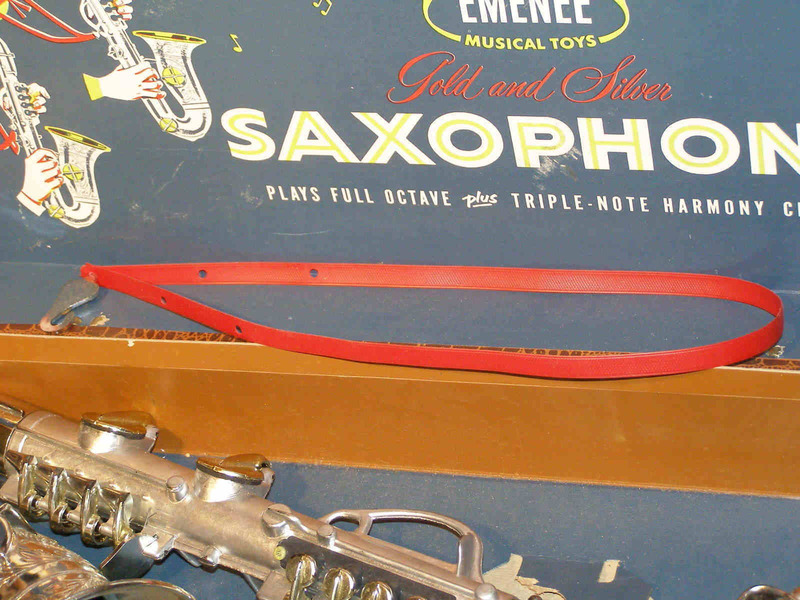 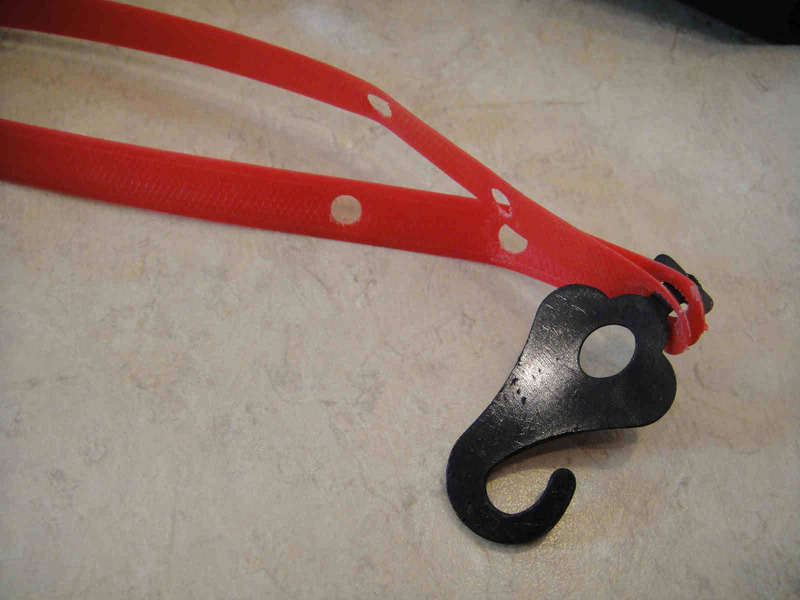 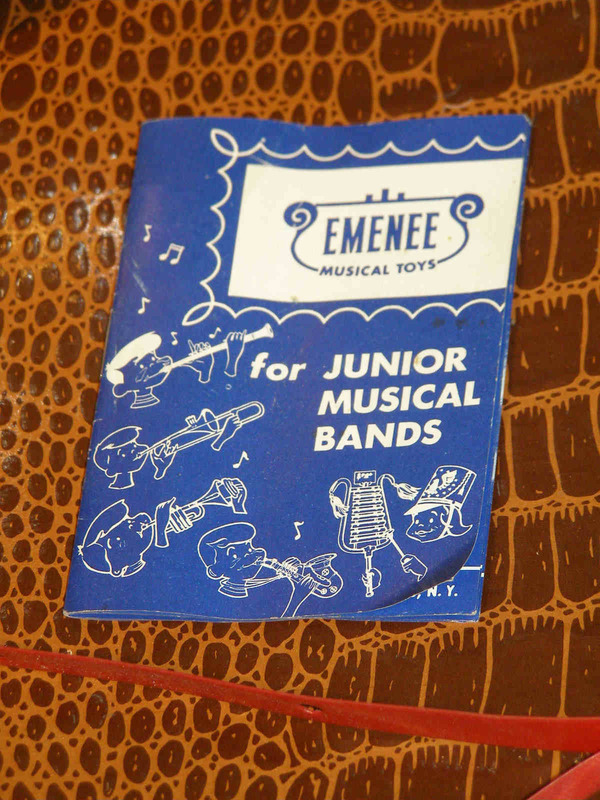 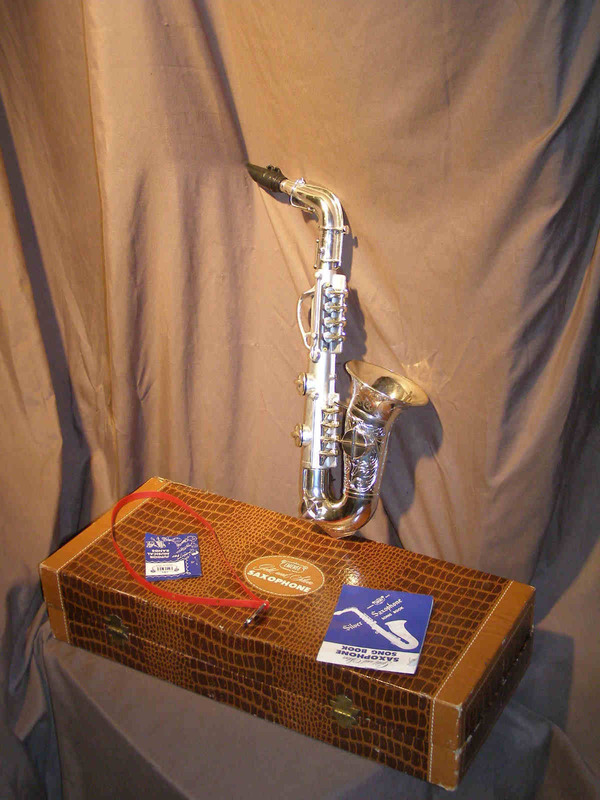 The Emenee toy sax came with its own carrying case that resembled a saxophone case, a neck strap, as well as a music book. 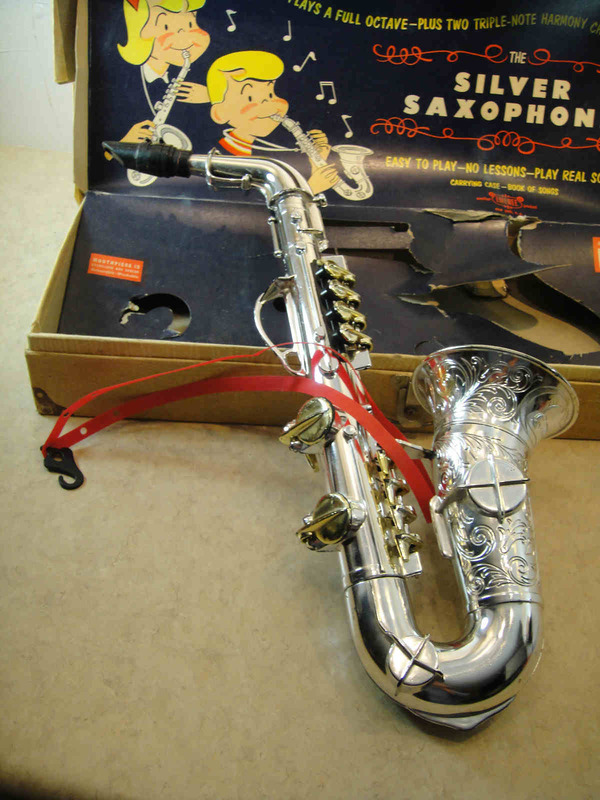 According to the seller of this particular item, it is from 1953. 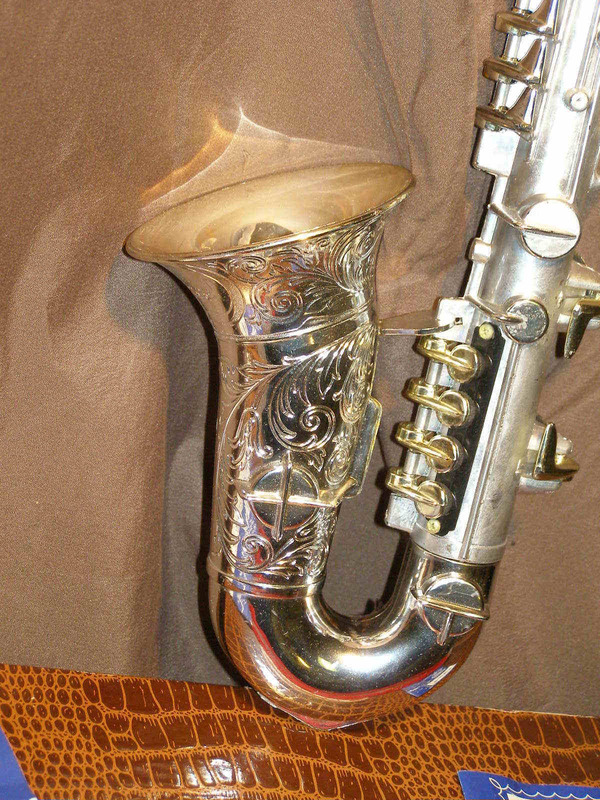 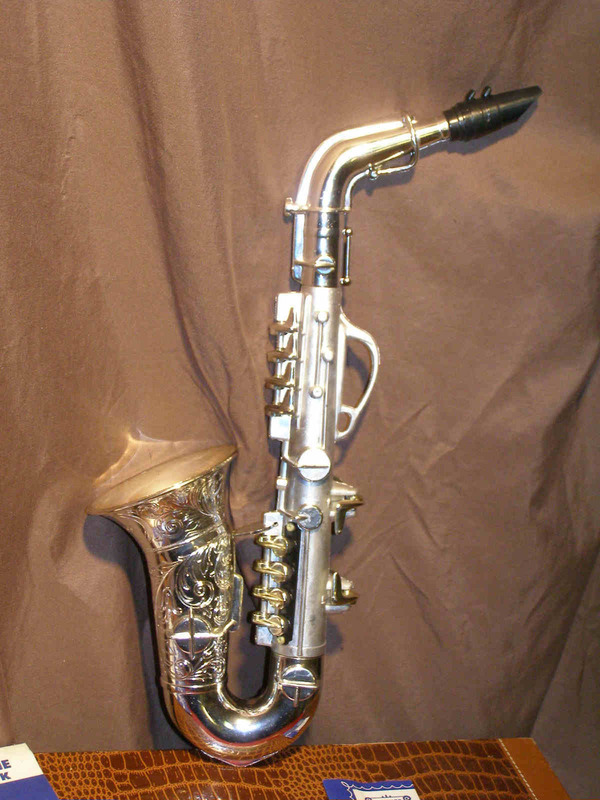 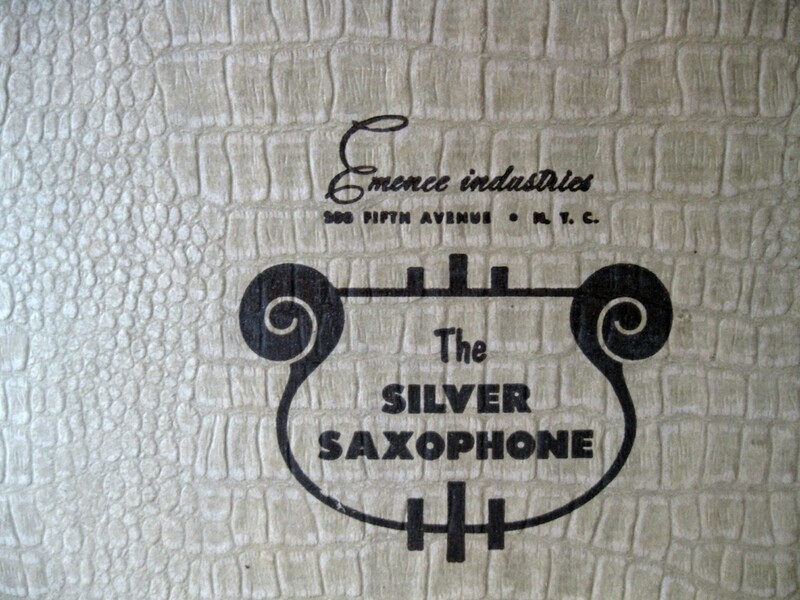 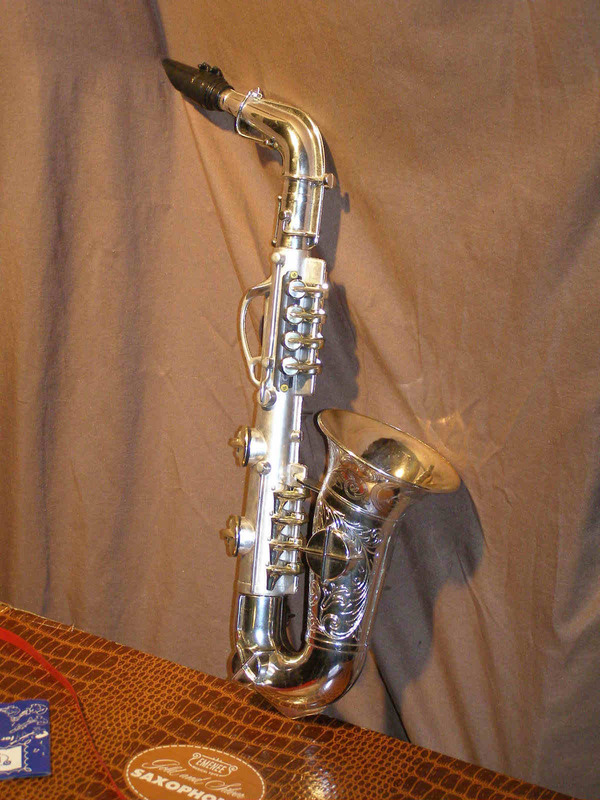 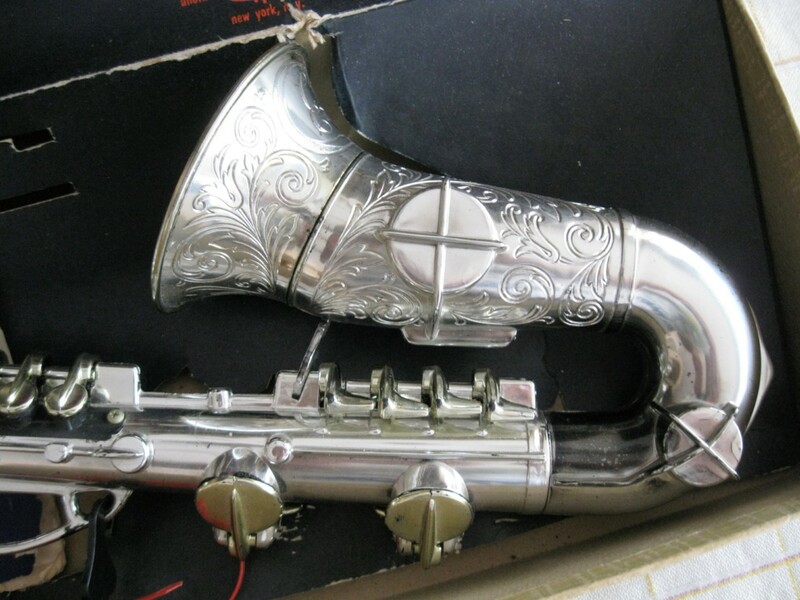 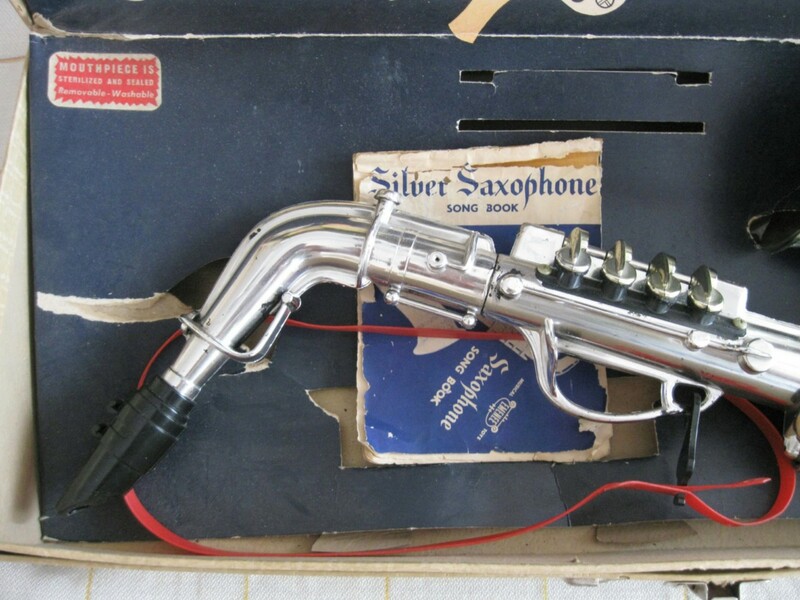 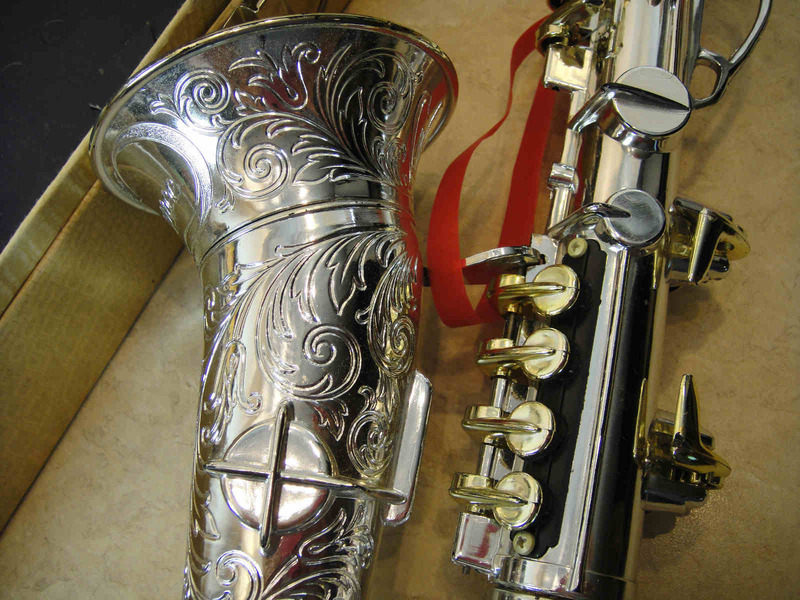 Although missing its song book, this Silver Saxophone is in very good condition. 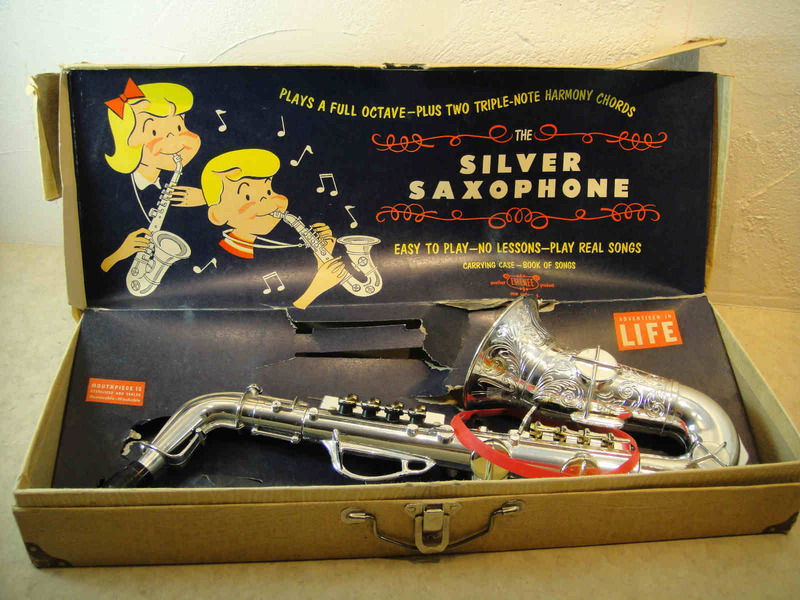 The overall condition is not minty like the Gold and Silver Saxophone shown above however. 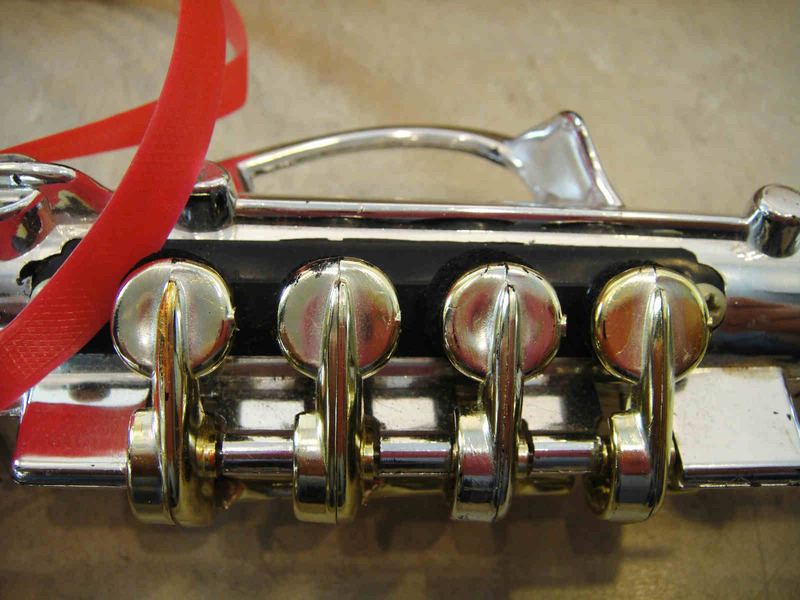 BTW, is it just me, or do the keys look gold on this horn? 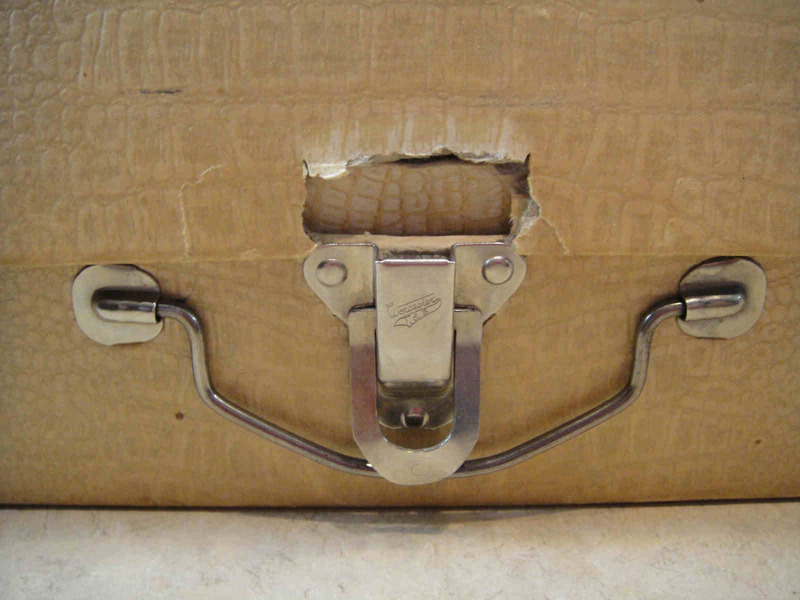 It could just be the lighting. 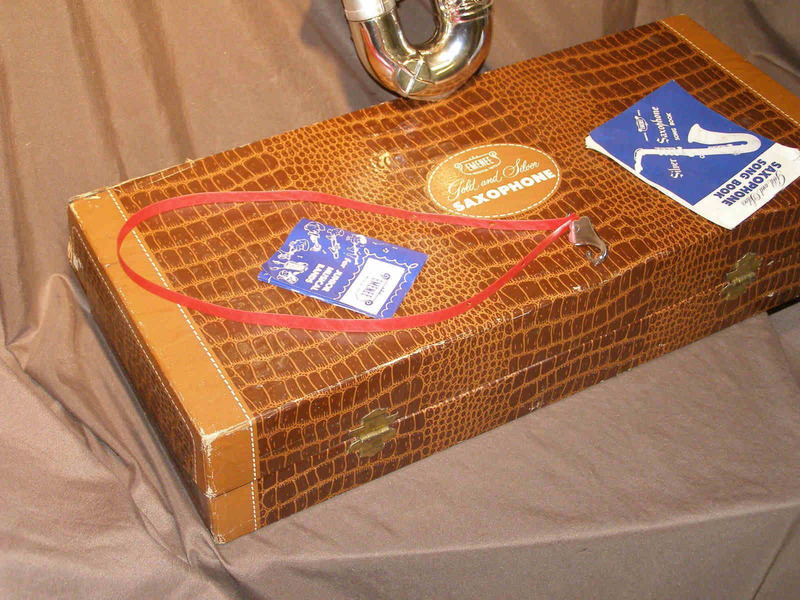 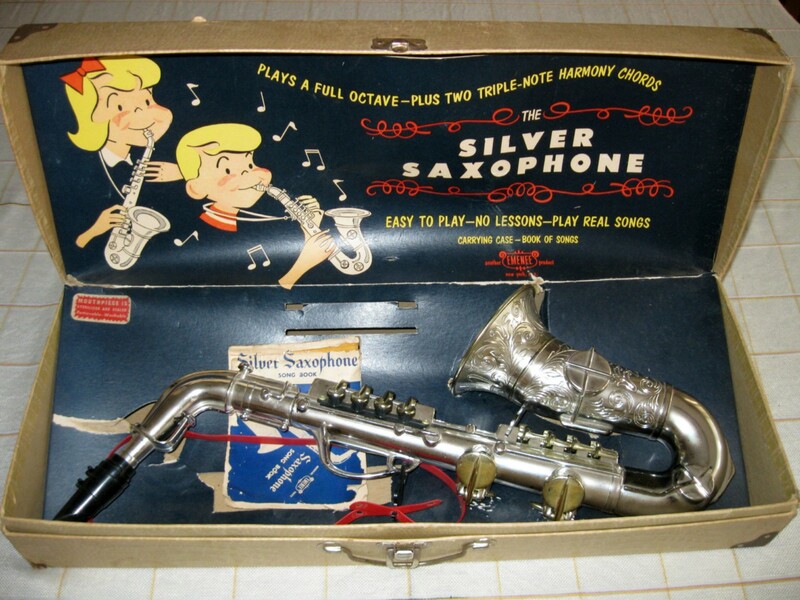 Or it might be that this is a Gold and Silver Saxophone, that is in a Silver Saxophone’s box. 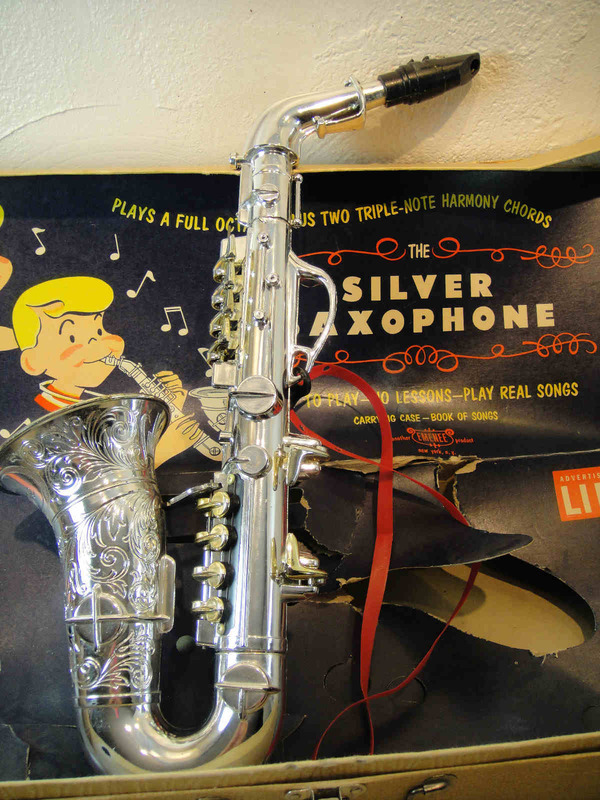 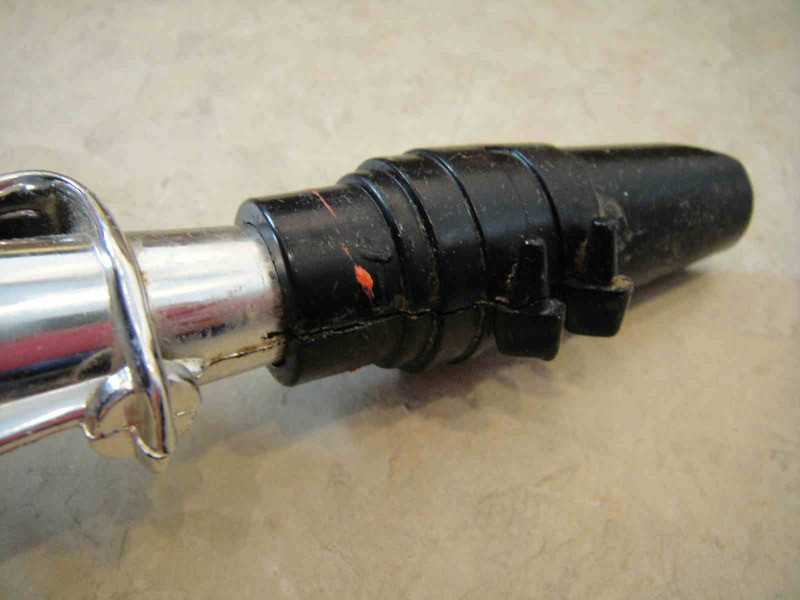 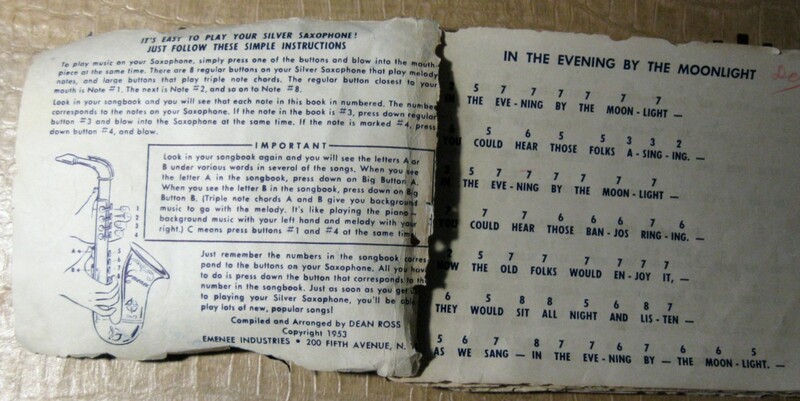 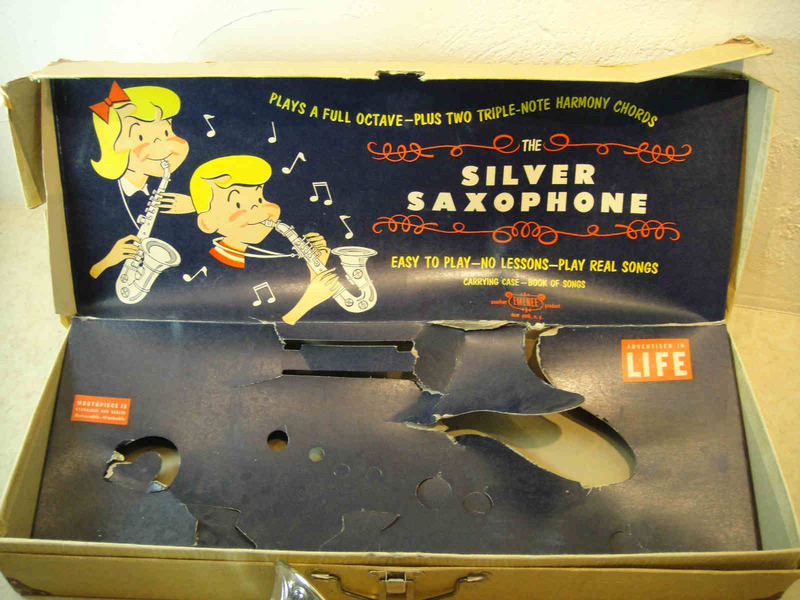 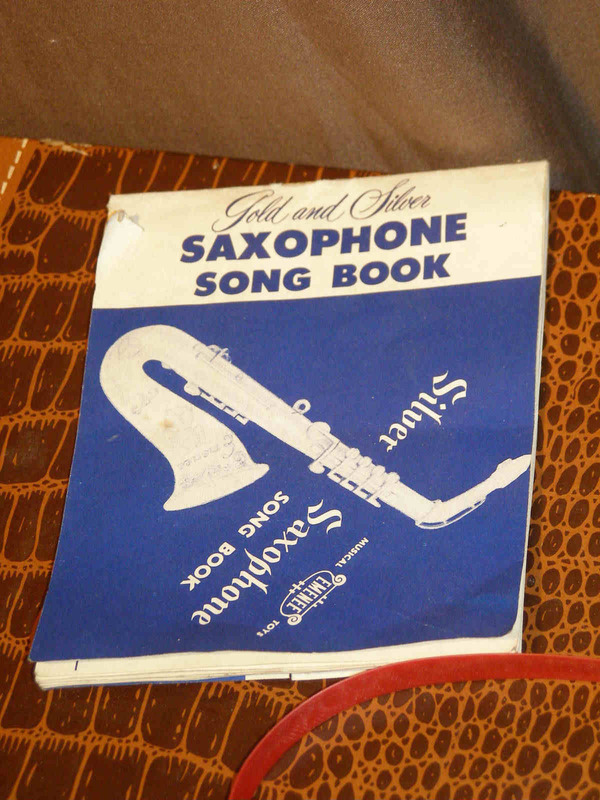 This Emenee toy sax—which is most certainly a Silver Saxophone—still has its original, well-used song book with it. 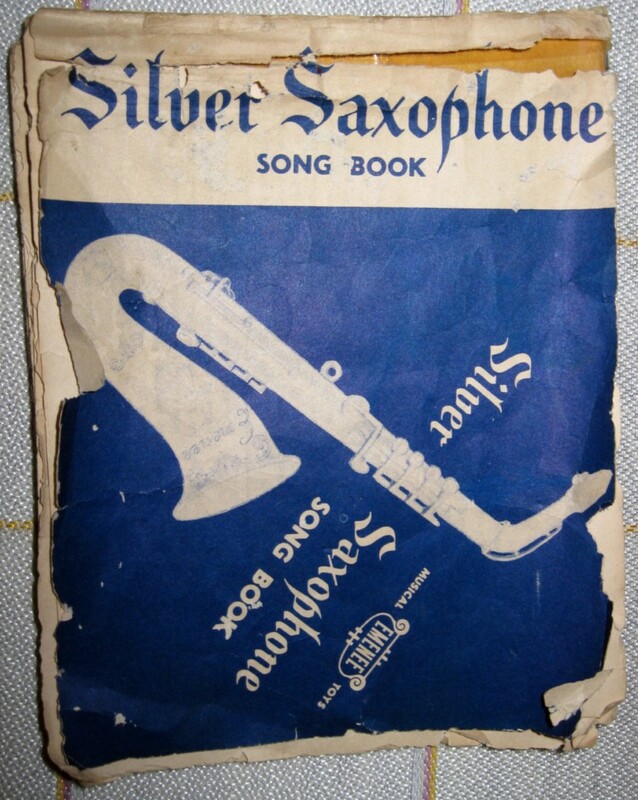 The seller was kind enough to provide a glimpse inside, to show how the music that accompanied the Silver Saxophone was written. 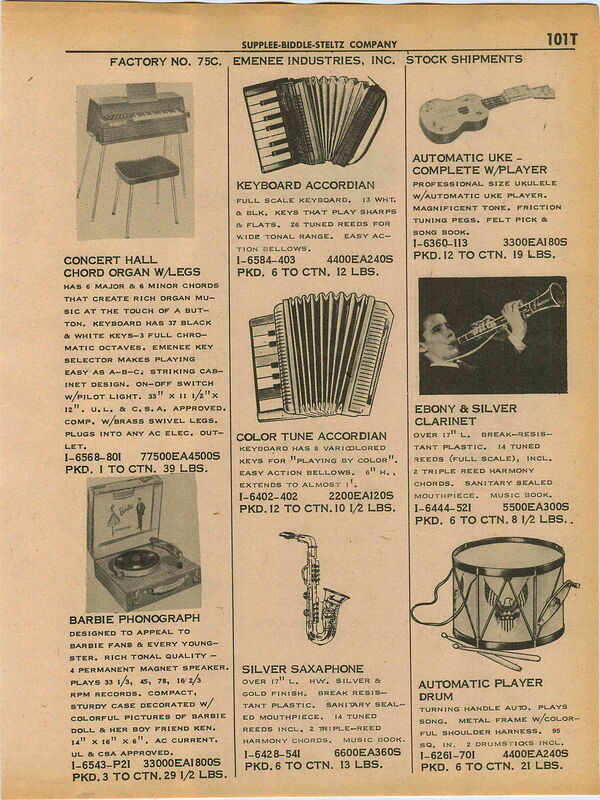 In June 2015 I happened to see this interesting print ad, which appears to have come from an ordering catalogue for retailers. 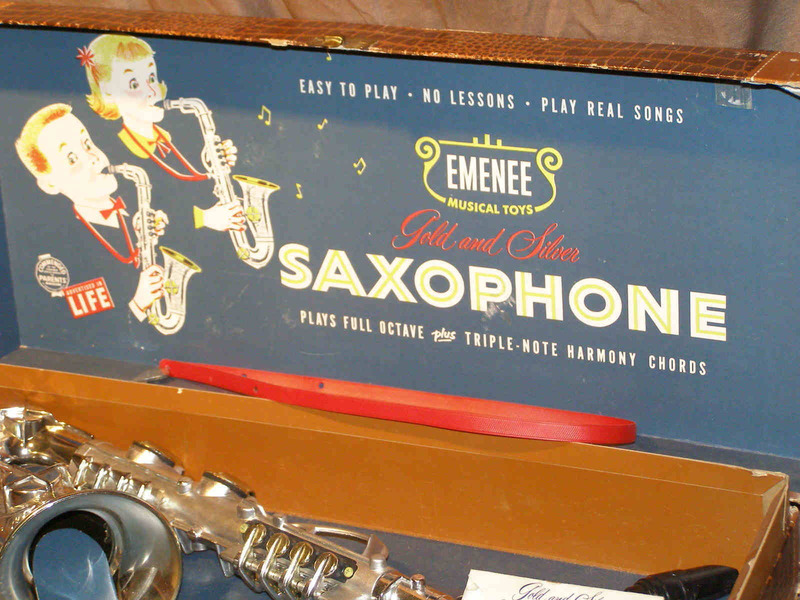 Unfortunately there are no prices listed, so we can’t see what retailers would have had to pay for six of the Gold and Silver Emenee Toy Saxes. 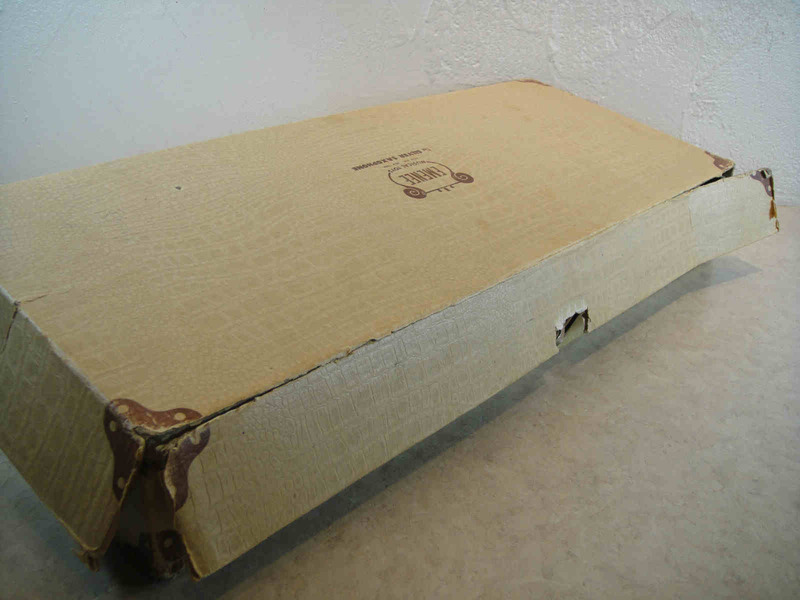 According to Wikipedia, Higbee’s was a department store founded 1860 in Cleveland, Ohio.